I'm a 20 year old dutchie. I like to watch and play basketball. The 1st game i ever played online was ren, and i immediately loved it. -When i started playing ren, i mostly played AOW. I was in a couple of clans, but they all died in due time (member inactivity was the main problem). -Then i stopped playing AOW, changed my nick (nobody i had known was still playing ren) and started to play Sniper, DM & CCTF (of which i played CCTF the most). I joined a Sniper/CCTF clan, was nominated leader of the CCTF division but then this clan died aswell due to member inactivity (me & two others were the only ones still active). -After all this i gave up on ren for a while (roughly 8 months), dissappointed by all the clans dieing. -Then after a while i came back, and started to play only co-op. I had changed my nick again (same reason as before). I was sort of bound to the renz0r server because of the nice people there (naturally among whom were [MC]'s). First [MC] i ever saw ingame was [MC]-SASbladeAK-47. After a long time i decided to apply for the clan myself. 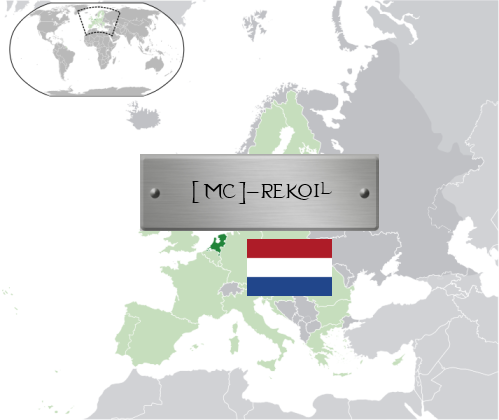 -And thats where i am now; known as ReKoil, a proud member of the [MC] clan . As for school; I have completed the higher general secondary education (havo for the dutchies) and after that completed the pre-university education (vwo for the dutchies). Oh and I've recently gotten my driver's license.